Welcome to the world of Amy D. Rubin, composer/pianist. "She manages to bring world cultures home....to stretch familiar images into fresh perspectives...presenting landscapes that we already know but that are transformed by unusual palettes." 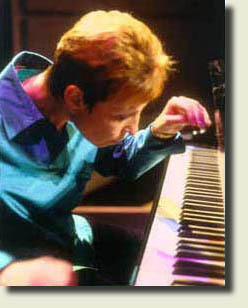 Thank you for visiting the sound world of Amy D. Rubin, Composer/Pianist. The link below will take you to the visual world of Amy Rubin, Photographer.